"Where friends are made by accident." Looking for an auto body repair shop you can trust? Look no further! We’re the most friendly, honest auto repair team in Oakland County. Looking for a collision shop to help you with all your auto glass needs, you came to the right place, our collision shop of Ferndale is here to provide you with great quality and affordable auto glass service in the city of Ferndale. When coming to our collision shop you will be greeted by certified staff members who have been providing auto glass repair to Ferndale residents for many years. In the auto glass industry, where you choose to get your car's windows fixed can make a big difference in the service, quality and price you receive; and choosing the wrong company can lead to a costly, drawn-out project that only fixes the problem in the short term. Having a damaged car window or windshield is an unexpected and unwelcome event. Let us replace it! Don't let your insurance company dictate where you go, you decide. Call us today for same day service! We offer many preventative maintenance to keep your vehicle running like new. It's our way of guaranteeing that your car will stay healthy and in top condition. Is your car or truck in need of maintenance. Our collision shop of Ferndale not only guarantees there work but, makes sure that you are aware of everything your vehicle is in need of. Our Ferndale customers come to us not only because we cover all there needs, but we do it while providing outstanding customer service. Our mechanics at our collision shop are highly trained and knowledgeable when it comes to cars and trucks. Our auto body shop Ferndale has been providing quality auto repair and auto service in the Ferndale area at our auto body shop for many years. Our collision shop wants our Ferndale residents have a peace of mind whenever they enter our collision shop. 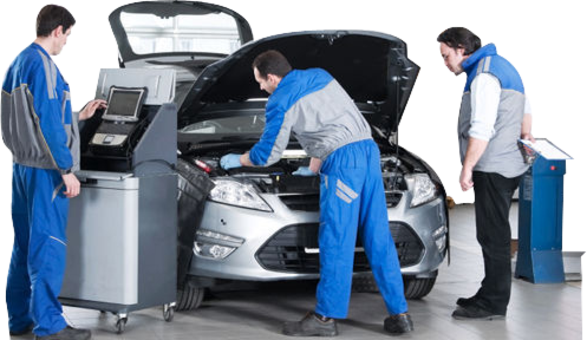 It is very hard to find a great mechanic repair shop that is honest and trustworthy. Here at our auto body shop Ferndale we want our residents to know when they come to a collision or mechanic shop that they are being taken care of. Our collision shop understands that repairs can be expensive this is why we have competitive rates and will try to match all other quotes as long as they are apple to apple. Come visit us and let us prove to you why you will not be going anywhere else after using us. When you bring your vehicle into The Collision Repair Shop you will leave you worries at the door. We have all the tools and equipment necessary to have your vehicle looking and driving just like new. If you have any questions regarding your vehicle give us a call anytime and we are more than happy to help. We’re a certified auto body repair shop with trained, experienced professionals. Trust us as your experts in auto body repair. 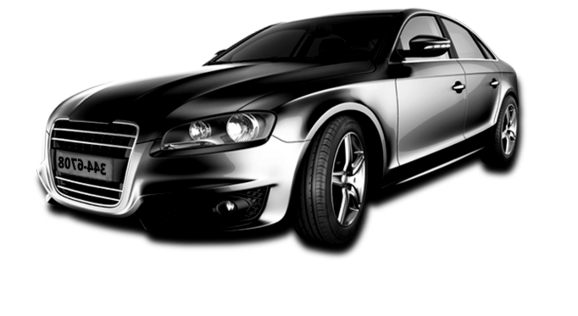 It is very difficult to locate a collision shop that can provide great quality repairs. This is why we pride our selves when it comes to collision repair. 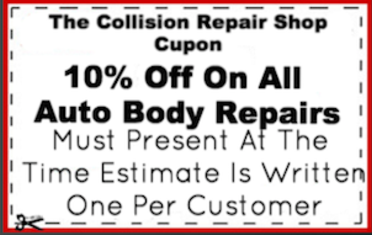 Our Collision Shop Ferndale stands behind all repairs that were performed on your vehicle. We warranty everything for as long as you own your vehicle. At our auto body shop Ferndale we have the tools and know-how to get your vehicle looking and running like new again after a collision. Whether your car needs a paint job, dents removed, or a new windshield; we will get the job done in a fair amount of time so you can get back to the important things in your life. 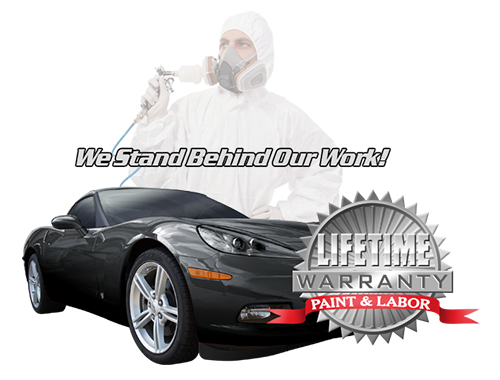 Our auto body shop Ferndale has been providing honest, quality auto repairs and painting at competitive rates. Our auto body shop Ferndale has many years of experience and has been providing great collision shop repairs to the Ferndale area with collision work, auto repair and painting for over a decade. 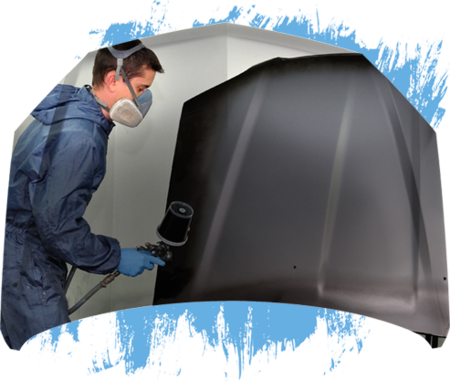 Our auto body shop Ferndale uses only name brand, quality materials and paints. We use a state of the art frame machine that allows the damaged vehicle to be restored to pre-accident condition. All insurance claims are gladly honored and estimates are free. A welding service is also available. All our work at our collision shop Ferndale is done professionally from start to finish... from unitized body damage and realignment to final finish and paint. We take pride in our work at The Collision Repair Shop Ferndale because we know you take pride in how your car looks and the way it runs. That's why our work has to shine, because we're not satisfied unless you are satisfied. Why Choose The Collision Repair Shop, MI? At collision shop Ferndale not only do we service all your auto repair needs but we also can help provide you with wheels & tires. Whether you need to replace them before a lease turn in, or its just about time for new tires for the winter. Our collision shop Ferndale is here to service all makes and models on your tire replacements. 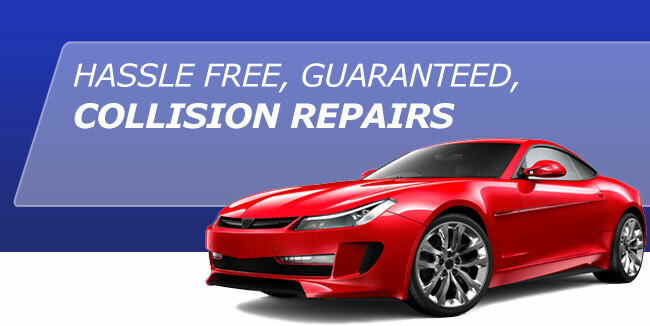 The Collision Repair Shop has as been providing auto body repair for Michigan residents for many years. The Collision Repair Shop has been rated one of the top collision shops in Michigan. If you are in need of auto body repair for any vehicle, it does not matter the year, make or model. Visit The Collision Repair Shop and find out first hand why everyone in Michigan prefers bringing there vehicle here. Our collision shop Ferndale works with every major insurance company in the state of Michigan and through out the United States. When our residents of Ferndale or Non Ferndale residents damage there vehicle we know they are going through a large sum of stress. This is why our collision shop Ferndale helps with waiving the deductible or providing a free loaner vehicle. Our collision shop tries its best to help provide a stress free environment when it comes to repair your vehicle at our collision shop Ferndale. We strive to give you and your vehicle expert service, from the moment you arrive to the day we're finished. That includes working with your insurance company to make sure the process is smooth and convenient for you. We ensure quality materials and workmanship. Our technicians are certified and professionally trained to get the job done right. 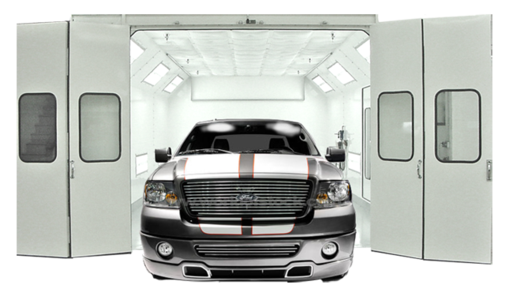 We are one of the most modern and best equipped auto body shop in Ferndale, MI. Our commitment doesn't end when you leave our shop. We stand behind the quality and durability of every job we do. And we put it in writing with a limited lifetime warranty. IT IS YOUR CHOICE! Plain and simple. Purchasing a vehicle will be one of your biggest investments you will make. This mean you have the right to assure you protect your vehicles value and have the collision repaired properly. YOU HAVE THE RIGHT TO REPAIR YOUR VEHICLE AT ANY AUTO BODY SHOP OF YOUR CHOICE. Its like going to the doctors, you wouldn't let anyone talk you into going somewhere that doesn't have the qualification and proper schooling to check you. DO NOT let your insurance company tell you that you have to have your vehicle fixed at another auto body shop simply because the one you want "is not on their list". If this happens to you simply tell them you will call them back and then contact us. WE will handle it from there. Do you need more than one estimate? The answer to this is NO! Contact your insurance company and tell them what happened. If the insurance company tells you to go out and get two or even more estimates from other auto body shops in order to get your vehicle fixed, simply tell them you have a auto body shop of choice and that you wish to have your vehicle repaired there. Your insurance company will send out an adjusted to the auto body shop to go over the damages with out trained and certified technicians. So that way the insurance company repairs everything and nothing is missed. Just because another estimate may be lower does NOT mean you can expect the same quality repairs. Some auto body shops will use after market or even used parts and materials to cut the cost of your repairs. Accidents happen to us all. When they do occur do not let anyone force you into a quick decision. Take a little time to do some research. Make sure that the auto body shop you hire to do your repairs are looking our for your best interests. Remember, It was YOU that paid for your insurance. DO NOT let the insurance company tell you where you can and can not repair your vehicle after a collision. It is you and you only that are in complete charge of your vehicle. If you have any questions or simply need help understanding what rights you have after a accident, just call us! We are here to help. We work for you and not the insurance company. - Lease Turn In Specialist. Great experience! It’s hard to find a trusty shop to work on your car. The collision shop was honest, affordable and had a great turn around time. The owner checked in with us regularly and made sure all of our issues were addressed. Made my car look brand new! Would highly recommend to anyone looking for car repairs! Highly, highly recommend. If you want your car to be fixed the best way possible then this is the shop to bring it to. Lance and his staff are a perfectionist, they go to great lengths to make sure the paint is a match and all repairs are done the best way possible. I was very impressed with the politeness, price and quickness that this team has done for me. The biggest thing in getting a fender bender fixed in the paint. You want a quality paint job and that's exactly what they did for me. The paint matches the exact same color as the rest of my car. I'd recommend this place for any car type and any issue. Job well done!!! I am so incredibly happy with my experience here! I had cosmetic damages to my front bumper after a side swipe and decided to bring it to this shop after reading other reviews. I was super impressed with the work, pricing & staff here. They were able to fix my vehicle in less than three days, and did so for a fraction of the cost that I was quoted elsewhere. Thank you to the staff here for a great experience!